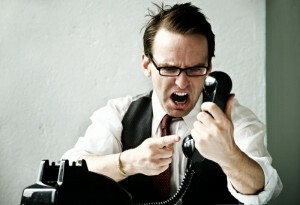 You are here: Home » Publishing Division » Articles & Essays » What Do You Do with Difficult People? What Do You Do with Difficult People? Fran’s cottage on the Oregon coast should be the perfect meditative retreat. The only worm in her apple is Larry, her landlord, who lives on the property. Larry is an acerbic critic of just about everything—the government, the art world, drug companies, and Fran. He can’t believe she’s so clueless about simple practical matters. Only an idiot, he tells her, would plant petunias without putting gopher wire around them, and that’s just for starters. Yes, he’ll bring her groceries from town, and help her diagnose the weird noises in her car. But he also walks into her house uninvited, and doesn’t understand why she minds. After all, they’re neighbors, aren’t they? It’s not that Larry is a bad guy, and Fran knows him well enough to know that he’s harmless. But nonetheless, she feels crowded. She doesn’t want to move, yet her landlord’s presence hangs over her house like a dark, critical cloud. Worst of all, his irritability magnetizes her own irritation, so she often finds herself talking to him in the same harsh tone he uses with her. As a conscious person doing her best to follow a spiritual path, Fran feels ashamed of herself for not knowing how to deal with Larry. You might feel that way too, when difficult people show up in your life. Yet the truth is that few of us ever get through life without encountering—often in our intimate personal space—more than one person who is staggeringly difficult for us to handle. Whether it’s a manipulative friend, a prickly co-worker, an absent-hearted lover—some form of relationship stress seems to be part of the package we signed up for when we enrolled ourselves in the school that is life on this planet. If we don’t have a few challenging people in our lives, we’re probably living on a desert island. So, how do you deal with a situation like Fran’s without moving away, being harsh or wimpy, or putting that person out of your heart? How can you explain to your friend who keeps enlisting you in service of her dramas that you don’t want to be part of her latest scenario of mistrust—yet still remain friends? How do you handle the boss whose tantrums terrorize the whole office, or the co-worker who bursts into tears and accuses you of being abrupt when you’re just trying to get down to business? More to the point, what do you do when the same sorts of difficult interpersonal situations keep showing up in your life? Chalk it up to karma? Find ways to resolve them through discussion or even pre-emptive action? Or take the truly challenging view – the view held by Jungians and many spiritual teachers–that these people are reflecting your own disowned, or shadow tendencies? In other words, does dealing with difficult people have to begin with finding out what you might need to work on in yourself? The short yogic answer to the last question is “Yes.” Of course, that doesn’t mean overlooking other people’s anti-social behavior. (Owning your part in a difficult relationship is not the same as avoiding confrontation.) Moreover, some relationships are so difficult that the best way to change them is to leave. But the bottom line is you can’t control other people’s personalities and behaviors; real power lies in your ability to work on yourself. Not even the best interpersonal technique will work if you do it from a fearful, judgmental, or angry state of mind. Your own open and empowered state is the fulcrum from which you can begin to move the world. I used to do projects with a woman whose moods tyrannized everyone she worked with. She was bossy, and tension made her cranky, so hardly a day went by when she didn’t clash with someone. Yet one person, Terry, could effortlessly disarm this woman, and it was his inner attitude that made the difference. For years, he had practiced what I call the yoga of acceptance, holding the thought that since everything is an expression of a single divine reality, it should be honored and welcomed. Because he had come to embody acceptance, Terry could say and do tough things without creating resistance. It was Terry who convinced me that relationship is all about energy exchanges. Real transformation in a relationship begins at an energetic level. You don’t have to be a student of quantum field theory or Buddhist metaphysics to sense how much the energies around you affect your mood and feelings. 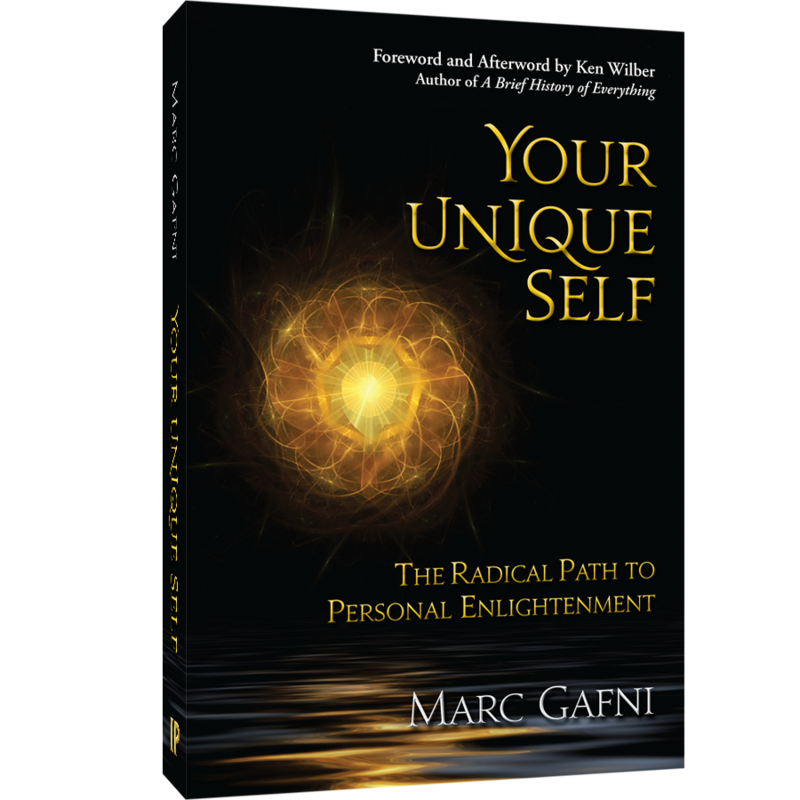 What we call personality is actually many layers of energy—soft, tender, vulnerable energies as well as powerful, controlling, or prickly energies. These energies, expressing themselves through your body, thoughts, emotions, and minds, manifest as your specific personality signature at any given moment. What’s on the surface, in body language and facial expression, is the sum of the energies operating within. When you speak, it’s the energy behind your words that most deeply affects others. When Fran’s landlord is being aggressive, his voice takes on a hard, strong tone. His body tightens and seems to get bigger. Fran, whose energy is much softer, gets frightened in the presence of that energy, and reacts by trying to placate Larry, retreating, or getting into her own dominance energy, and speaking harshly. The beginning of change, then, is learning how to recognize and modulate your own energy patterns. The more aware you are—the more you can stand aside and witness rather than identify your personal energies of thought and feeling—the easier it is to work with your own energies. This takes practice. You don’t start out with a highly developed awareness of your own energy or the way it affects others—and even it’s even harder know how to change the way your energies work together. In the heat of an emotionally charged exchange, it’s hard to step back and watch what’s happening—particularly when you’re one of the participants. To complicate matters, you may have disowned your more problematic energies—anger or vulnerability—so they come out sideways, in sarcastic remarks or sudden outbursts, or unexplained tears, as you react to energy patterns that trigger childhood programming, or family dynamics. This was part of Fran’s problem with her neighbor. Fran had always thought of herself as a “nice” woman, who would rather stuff her anger than express it. The way she tells it, her older brother had a hair-trigger temper, and used to yell at and make fun of her. Fran had always tried to placate him, repressing her own resentment. All her life, she’s been attracting angry males, like replicas of her brother, and projections of her unexpressed rage. With Larry, her buried hair-trigger temper had started to surface as well. Just becoming aware of this pattern made a difference. Fran was able to witness the process between them, recognizing the moment when her own anger started to surface. But she was still too frightened to discuss her feelings about their relationship. It wasn’t just that confrontation scared her. She had a strong feeling that it wouldn’t work, anymore than it had with her brother. Then, Fran learned about an inner visualization technique, and decided to give it a try. She closed her eyes and calmed her breathing, then imagined herself in a small, comfortable room inside her own heart. She saw a door in the wall, which opened onto a staircase, which she walked down. (You might recognize this as a common self-hypnosis technique). At the bottom of the staircase she found another door, where she imagined herself entering a room with two chairs in it. She sat in one of the chairs, and imagined Larry sitting in the other. The first few times she did this practice, her imaginary Larry showed up faceless, or showed no interest in taking the flowers. After awhile, though, she felt less fear and distrust for Larry. The fifth time she tried the practice, she actually felt Larry’s energy in the imagined room, and felt him accepting the bouquet. To her surprise, Larry seemed to accept her position. “It was as if he respected me for making it clear,” she told me. Moreover, there was an ease and friendliness in their conversation that had never been there before. Fran felt it had everything to do with her flower meditation. Whether it had affected him or not, it had certainly released something in her, and that internal shift had allowed her to speak to him without charge. Now she can say, ‘Hey, Larry, be nice!’ when he starts talking in his hectoring voice. And he laughs and shifts into a friendlier tone. The Yoga Vasistha, one of the most radical texts of Vedanta, teaches that the world you experience is actually a manifestation of consciousness itself, and that when you change your inner view, the world changes to match it. If you believe this teaching (and it is in fact the unacknowledged basis of much of the current new age teachings), it follows that when you want to change a relationship in the physical world, you begin by creating a shift in your thoughts and feelings. Whether you make this shift by creating an intention, doing a pacifying visualization, or imagining yourself having a successful conversation, the imaginative work you do with your difficult people is the first step towards breaking down the barriers. First, notice the energy that’s triggered inside you in this person’s presence. Remember the last time you were with him or her and see if you can sense the way the energy feels in your body when you think of that encounter. Notice how your throat and stomach feel. Be aware of any emotions and thoughts you have about this person. See how long you can stay in this state of standing aside from the situation and your reactions, yet holding them in awareness. The witnessing awareness is the most empowered part of your consciousness; it’s actually your connection to the creative power of the universe, and once you tune into it, awareness itself will, over time, integrate all the contradictory energies within you. When you tune into the witness, gnarly feelings let go. That may be enough in itself to shift the energy between you and your difficult person. But if you want to go farther, and use the creative power of consciousness to communicate subtly with the person, or at least change your internal relationship to him or her, you can use symbols, which the unconscious recognizes more easily than words. You can use a practice like Fran’s flower meditation. Flowers are a universally recognized symbol of appreciation and reconciliation, but you might also use an olive branch, or another imaginary gift. I like to do this by imagining myself walking into the heart. A ladder connects my brain to my heart, and with each inhalation and exhalation, I walk myself down that ladder. In the heart, I imagine the two of us sitting in a cave, with a candle between us. Then I speak to the person. I ask that the two of us be friends, or that we be at peace. Sometimes I say what’s bothering me in the relationship and ask for help in resolving it. Often, though, I just imagine us sitting together in the heart space. Once I’ve done this internal process, I find the confrontations I’ve been dreading turn into reasonable discussions. People who seemed distant or disagreeable become less so. Life eases up. The creative consciousness of the Great Mind is best contacted through the heart. When you use active imagination, or bhavana, to resolve a relationship inside your heart, you are putting this insight into action. I’ve long suspected this is how the difficult people in your life can become your teachers—by inspiring you to change the dynamics of your relationship with others by shifting the dynamic within yourself. get a dog, i have learned to change my energy because my dog does not like to be around neg energy.